My fiance and I adopted Tobie in 2008 from Peke N Chin, a rescue organization in the Midwest focused on Pekingese and Japanese Chin dogs. His owner had him and another UN-neutered male that fought constantly and lacked potty training and was about to put both dogs to sleep. I met my pup at a convention center and fell in love. He was very thin, and seemed so sad. But when I walked up to him he melted my heart as his sleepy head laid in my hand. He still has a hard time with potty training, if we keep the bathroom and bedroom doors shut he will not pee or poop inside. He thinks he owns our house. He had two Newfoundlands that shared the same yard as we live in a duplex. It takes him a little while to warm up to other dogs, but he is a little snappy. He has bitten in the past, I believe it is due to his abusive upbringing and he thinks he is protecting me. When I am not around he doesn't bite. He is a huge cuddle bug, right now he is laying on my legs as I type this. Pekes need to be groomed, they get terribly matted. He is so passionate and would do anything to protect me. It makes my day, everyday, when I come home and he is crying and jumping to see me! I love him so much. No matter what he loves me unconditionally and never lets me down when I need a smile. I do want to warn some, Pekes have very protruding eyes and are very prone to corneal ulcers. Due to the lack of protection their eyes bulge. Tobie was ran into by a small dog and their heads collided. The swelling from the injury caused the eye to proptose (come out of socket). They tried to save the eye and when the sutures were removed he developed an ulcer and the eye needed to be removed. During the second surgery he had his other eye lid opening narrowed. This will protect him from other eye injuries. I would recommend getting a medical insurance package for Pekes. They are prone to eye injuries. Insurance is relatively inexpensive compared to the surgeries and hospital stay, which cost us over 3,000. If you live in the Midwest or Manitoba Canada, you really should get to know the good people at Peke N Chin. They are a volunteer dog rescue organization focused in 10 Midwestern states and the Canadian Province of Manitoba. "Our group is dedicated to the breeds of Pekingese and Japanese Chin, and our purpose is to rescue and rehabilitate abused, abandoned, neglected and surrendered dogs. These dogs are provided with the attention, care and medical treatment necessary including spaying/neutering, until a permanent home can be found." Peke N Chin is a 501(c)3 non-profit organization, meaning donations are tax deductible. Donations are used to pay medical expenses for current and future rescue dogs. To learn more about Pekingese or Japanese Chin fostering and adoption, or to contribute, visit the Peke N Chin website. Literally many pekes do think they rule their world and need a gentle but firm and determined human companion ( note I don't say owner). Peke's as with pugs, and other smoosh faced dogs do need some extra care with their eyes - but it's very individual and something to be considered when checking out a rescue site for a new family member. 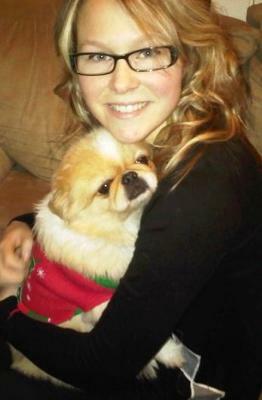 Peke N Chin Midwest has helped rehome over 400 dogs and are proud of the individual care we give each of our rescues.